It’s been so long since I Christmas shopped for one of my babies. When I have had a baby around Christmas time, it not only means that we are usually asked to play Mary, Joseph and the Baby Jesus in a nativity, but that I always face the same dilemma..being that whilst of course I want to include said baby in gift buying, they are totally clueless as to the event. And then because they are clueless and don’t need much in life, I never really know what to buy as I don’t want to get them loads just for the sake of it. Getting them nothing isn’t an option, especially now Ethan and Megan are more than aware of what is happening, it would make them terribly sad if Alice had zero. So taking all of this into consideration…weighing it up, I decided the best thing to do was to look ahead and see what would be most useful in my baby parenting adventures to help both Alice and I over the next few months. 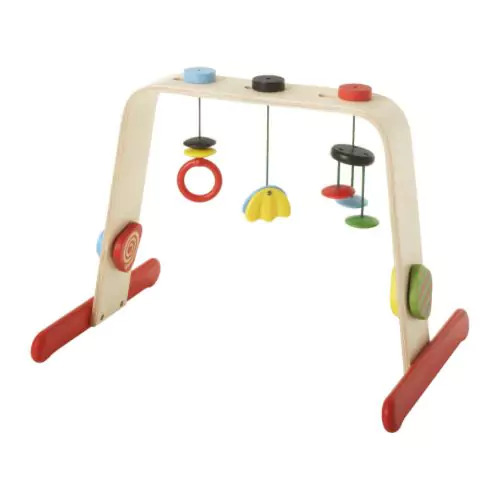 And, after some thoughts on this (and a sneaky trip to Ikea) I feel really happy about what are good gifts for babies and have striked a good balance of fun and practical. I hope you find my Ideas useful as I show you my answers to “what to buy baby this Christmas?”! What to buy a baby for Christmas? This will be Alice’s main present…the biggy so to speak. I thought it would be a great baby gift as she will get a lot out of it now she is awake more and more attentive to the world around her. Its something she can begin using straight away, but that will also be great for her development in the upcoming months… as turns 6 months in January she will slowly get more and more out of it as she begins to sit and pull herself up. I have been eyeing up a gorgeous one from Heimess that is also a walker, and a similar one is owned by my sister in law. Its just so beautiful, practical and hard wearing, but on the pricier end. 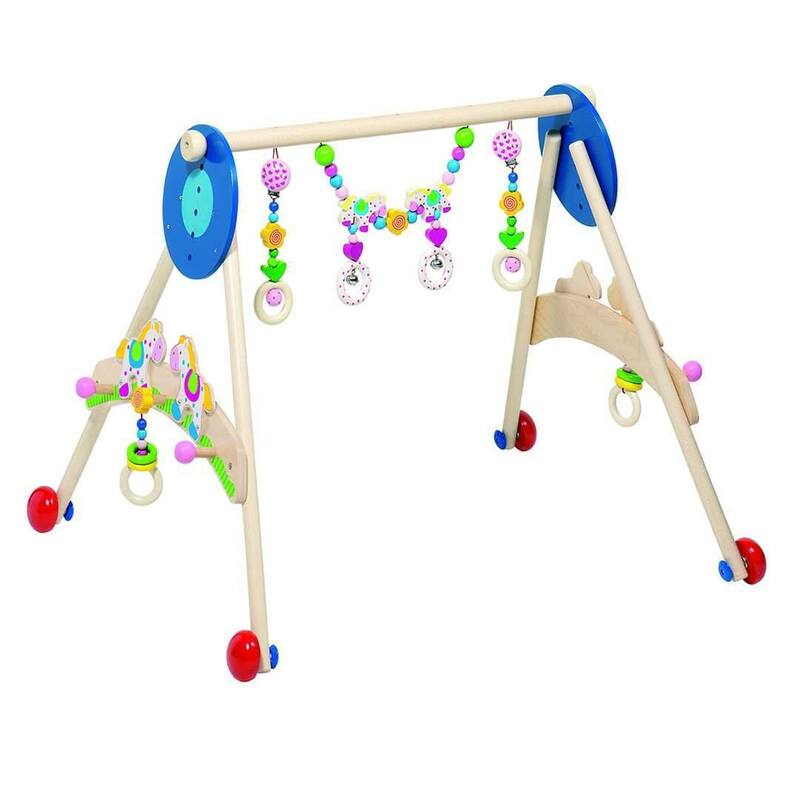 I have been looking on ebay but as I saw recently a cute wooden walker I may just do the 2 things separately…one for Christmas now, and one for Birthday when she turns 1. I also saw many lovely ones by Finn & Emma, but they definitely were very much out of my price range. And then of course I also like the Ikea one, whilst very popular it is easy to see why, its a great price and I am guessing is most likely the one ill end up going for as out of them all they have the best bargs on ebay. Its reasonable, practical and easy to store. I love sorting toys for babies and tots! They are great for hand eye coordination, problem solving and motor skills and generally just fun. Whilst she won’t use this probably for a few months, I thought it would be a lovely gift from Santa with her stocking. Again I went wooden, and whilst I loved the ELC nativity toy and Noahs ark, in the end I went with a cute house from Ikea for about £8. Its not bulky so again will be easy to find a home for, and its small enough to take out with us should she ever want to. Anything sensorial makes a great gift for a baby… and I’m not even talking here about expensive toys or books. 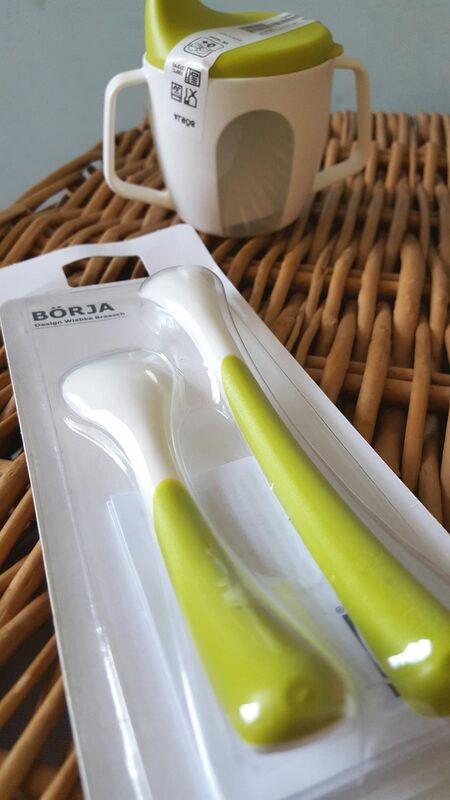 A simple set of wooden spoons, a dish brush, pastry brush or mini whisk will all bring hours of fun and exploration into the life of your baby. 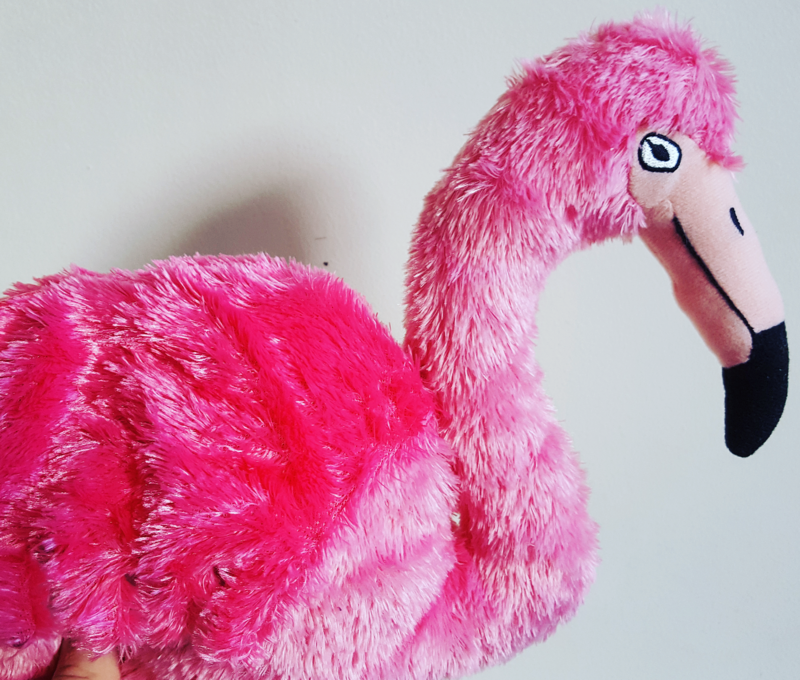 For Alice her sensory gift will be coming in the form of a pink flamingo for £4 from Ikea! Hello! I just loved it the moment I saw it, and with its neck and scrawny legs I could imagine her gripping onto it quite easy. The body, head, legs and tail feathers are all indifferent fabrics, and combined with the striking pinks will be a great snuggle and sensory experience. As I say Alice hits a huge milestone of 6 months in the new year, thus making her old enough to wean (Emotional doesn’t even cut it)! I figured a few spoons, sippy cup and snacks might be lovely to pop in her stocking, and so again from Ikea (slight obsession here) I grabbed some lovely spoons and matching cup for only a couple of pounds. I am planning on going back for their bamboo little bowls for her too to pop in the stocking along with these. I feel like books are a winning gift for kids of any age, and whilst we have so many books already at home, Alice doesn’t have any that are “hers” and you can never have too many – right? 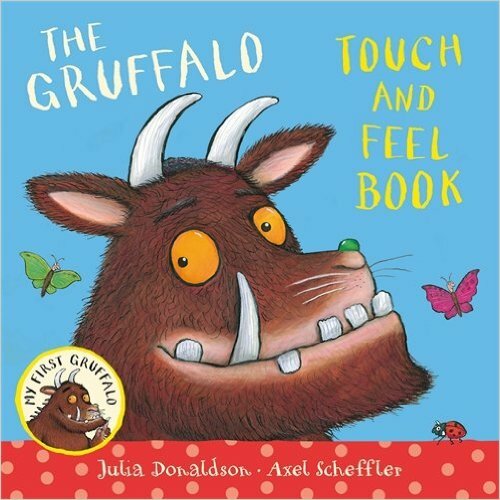 I have had my eye on the Grufalo touch and feel and possibly one of the books from the Usborne “thats not my…” range. 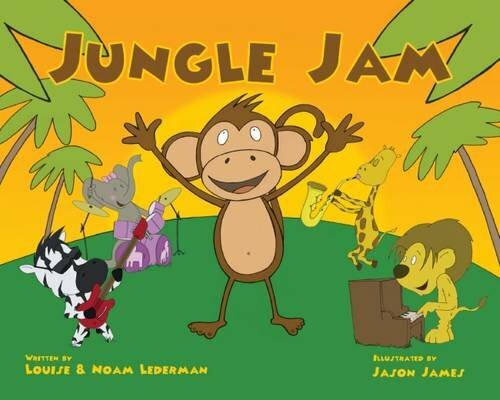 We were also sent recently a lovely book called Jungle Jam, which would be a great option to0. It is written by a couple from London who are passionate about music, and looks at friendship, teamwork and music. The words are rhyming and so it flows easy with lovely illustrations that fill each page. 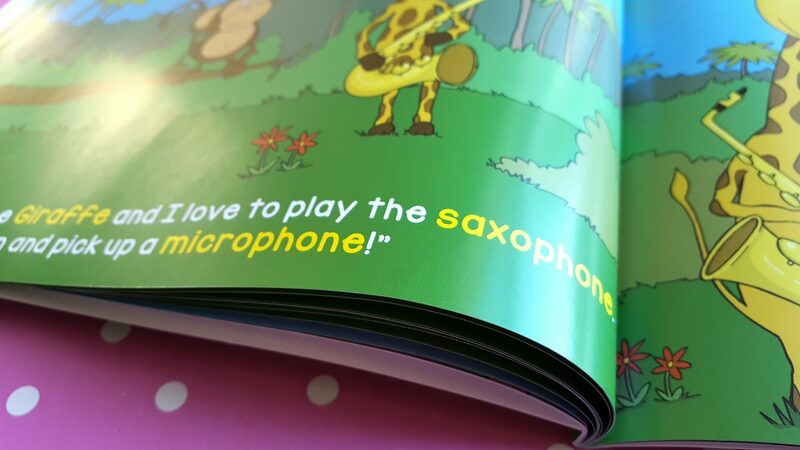 It is great for 0-5 yrs and what I love most is that it uses a lot of big musical words like “saxaphone” and “Soprano”, all of which expands the child’s vocabulary and knowledge. Being in a musical family it is a great book for our kids, and has a lot of scope for discussions and activities around it. 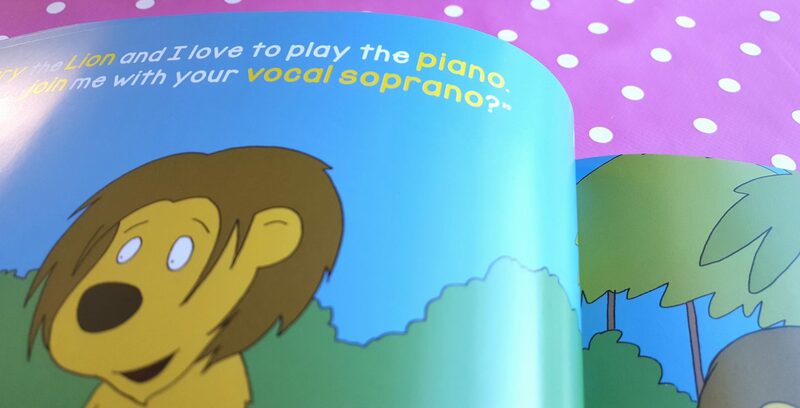 It would make a great gift on its own or with some little wooden instruments to get baby into music! Clothes are another no fail gift, and very welcomed when they are growing so quickly. Again in the new year we will be moving into the realms of 6-9 months clothing, and so I figured why not get her some of it now and wrap it up. I have for a while loved a rainbow hoodie in Next and so bought her that as it felt special, and then I also plan on getting her some leggings and baby grows to role up and pop in her stocking with the weaning things and maybe a little rattle or teething toy. Whilst on my lookout for something a little different for her 6-9 month wardrobe I also came across a gorgeous online retailer called “Sense Organics“. 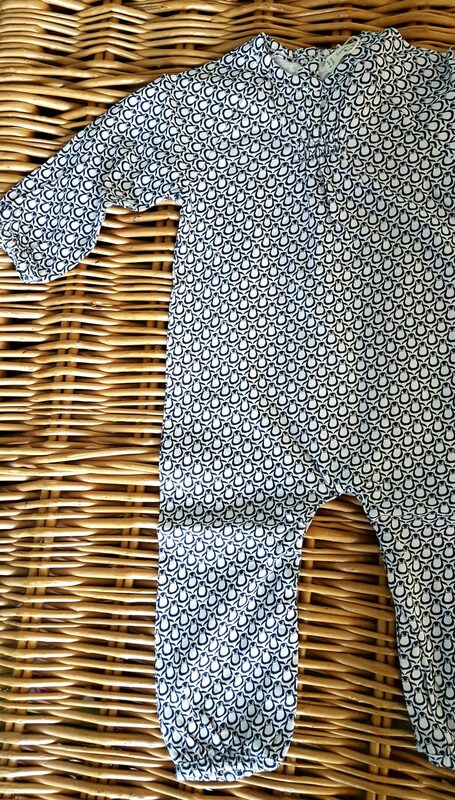 Their stuff is 100% organic cotton, so eco friendly and soft on babies skin, and their fabrics are an array of beautiful Nordic prints. Whilst the price tag is slightly more than I usually would go for, I realise it is Christmas and its always nice to get something a little different and special. 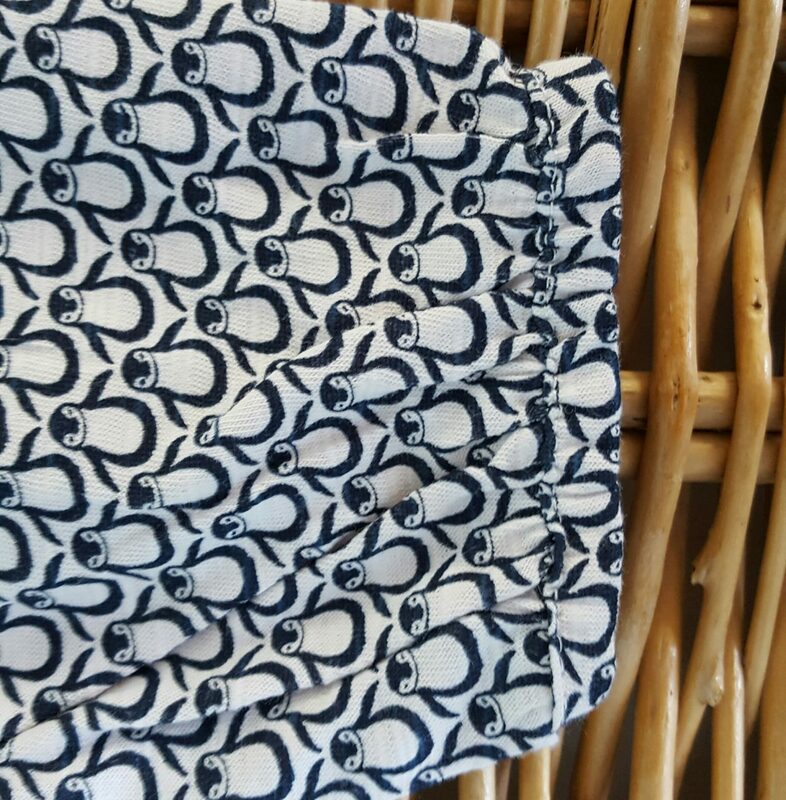 I went with the penguin romper purely because it is just so gorgeous. I love the print and can’t stop smiling when I see it. Not only that but its practical, pretty and will be comfortable for her. Take a look their stuff is perfect for a lovely Christams gift…how gorgeous please? Whilst I know Alice will be clueless to the festivities of Christmas, it is lovely to get her things that will be useful to us over the next few months. 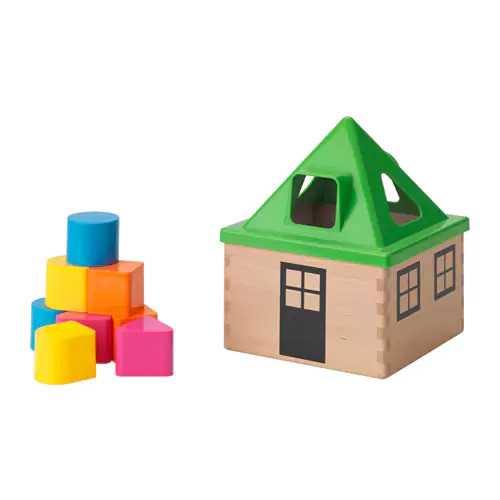 I know these things will also bring excitement to Ethan and Megan as they can begin playing with her with them, and see that she too had her own things now and to respect that. 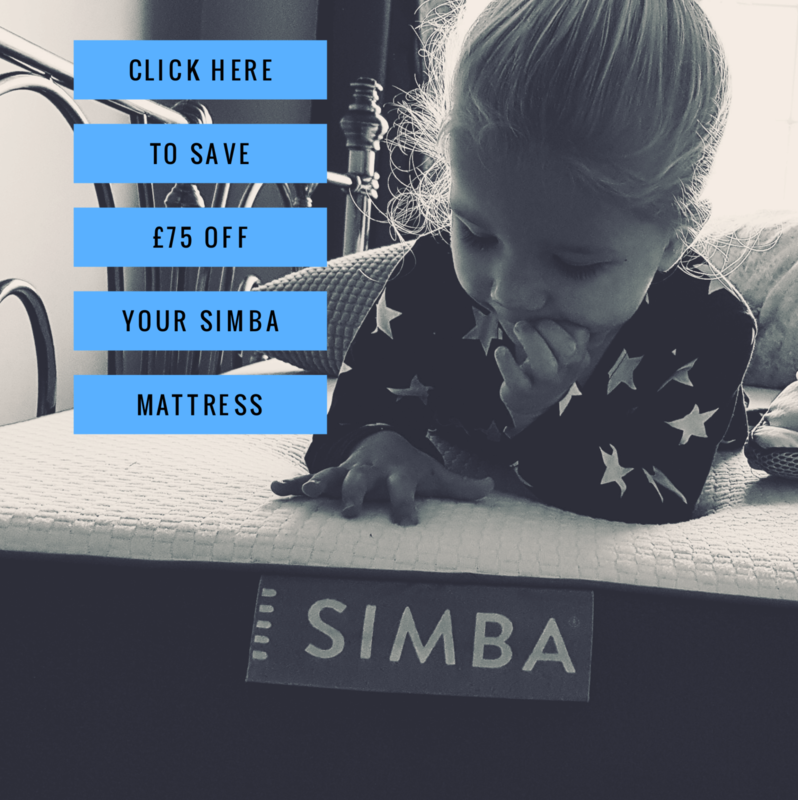 One thing I do love though about buying for babies is that they, like young kids, are unaware of new or used…so if you can why not save money, save on packaging and grab a deal on ebay or a local selling site! Either way I hope you enjoy babies 1st Christmas! *This post contains some items that were sent for review for the purpose of this gift guide.